I’ve been so completely busy with architectural photography recently that I haven’t had a chance to get out and shoot many landscapes. So here is a long exposure from last year that I haven’t released until now. 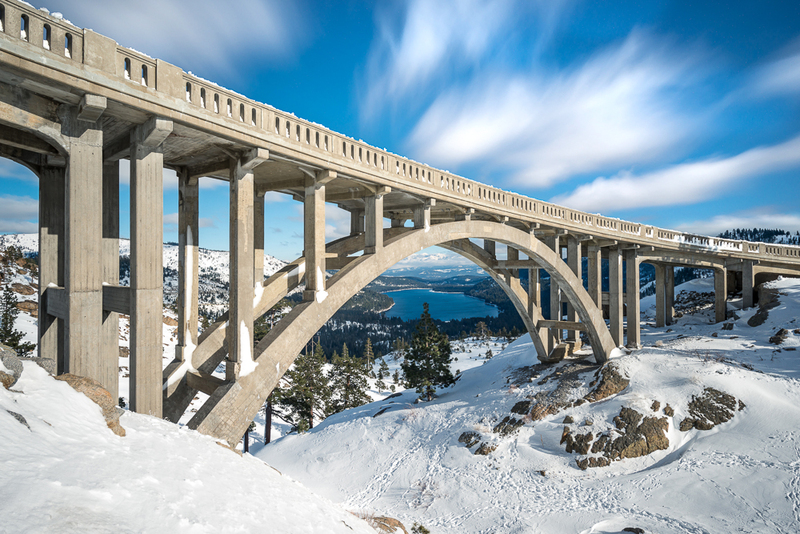 After scrambling down the rocky cliffside through the snow and finding the spot that frames Donner Lake under Rainbow Bridge, I patiently waited for the clouds to drift over Donner Summit on a windy afternoon while the sun perfectly lit the scene. I used my 10 stop filter to really draw out the exposure and show the motion of the clouds.